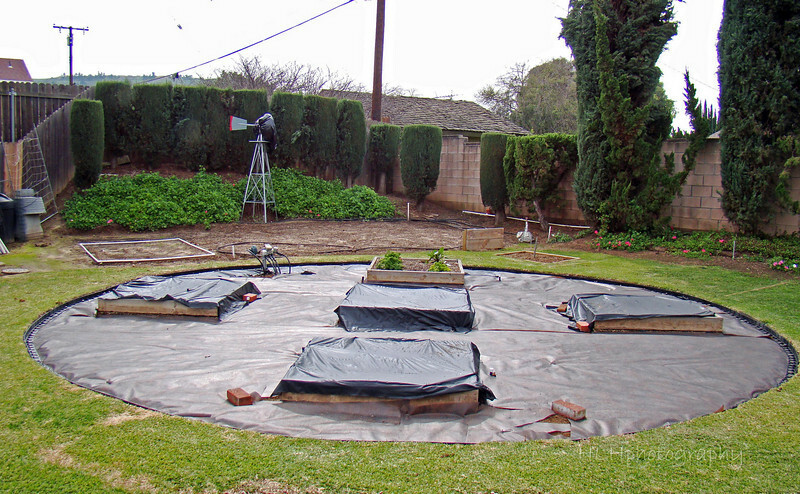 The NEW Square Foot Garden layout, began on 11.29.2008, is now finished, completed on Saturday, 2.28.2009. Now the fun and satisfaction of enjoying home-grown veggies begins anew! (to keep the neighborhood cats from doing their thing in the raised beds). Next, put in some bark.